This is the text of the letter that the prophet Jeremiah sent from Jerusalem to the surviving elders among the exiles and to the priests, the prophets and all the other people Nebuchadnezzar had carried into exile from Jerusalem to Babylon. 2 (This was after King Jehoiachin and the queen mother, the court officials and the leaders of Judah and Jerusalem, the craftsmen and the artisans had gone into exile from Jerusalem.) 3 He entrusted the letter to Elasah son of Shaphan and to Gemariah son of Hilkiah, whom Zedekiah king of Judah sent to King Nebuchadnezzar in Babylon. It said: 4 This is what the LORD Almighty, the God of Israel, says to all those I carried into exile from Jerusalem to Babylon: 5 “Build houses and settle down; plant gardens and eat what they produce. 6 Marry and have sons and daughters; find wives for your sons and give your daughters in marriage, so that they too may have sons and daughters. Increase in number there; do not decrease. 7 Also, seek the peace and prosperity of the city to which I have carried you into exile. Pray to the LORD for it, because if it prospers, you too will prosper.” 8 Yes, this is what the LORD Almighty, the God of Israel, says: “Do not let the prophets and diviners among you deceive you. Do not listen to the dreams you encourage them to have. 9 They are prophesying lies to you in my name. I have not sent them,” declares the LORD. 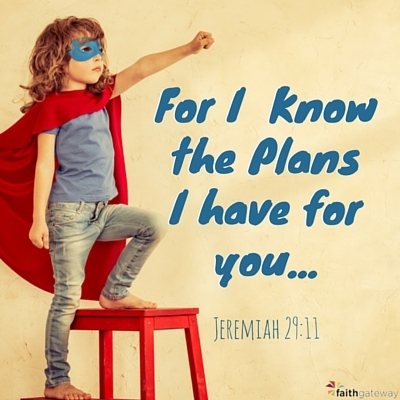 Perhaps one of the top five of often quoted Scriptures, Jeremiah 29:11 rarely is mentioned in accordance with the context in which it was written and directly applies. It has even become known by its simple summary of “God has a plan.” I don’t want to drain the verse of its encouragement to individuals that God means good for them and wishes for them to flourish. I do want to set this promise of God in its context, because it is only when the promise is interpreted based on its context that it becomes sure footing for believers to abound in hope of God’s goodness and grace for them. Otherwise it wrongly becomes associated with the context of the latest meme or picture that could mean anything — right, wrong or delusional. Jeremiah 29:11 occurs in the text of a letter sent by the prophet Jeremiah from Jerusalem to the exiles from the nation of Judah who had been carried into Babylon around 586 BC. It is a letter of instruction, encouragement, promise and warning. The letter conveys the word of the Lord that contrasts the words of the false prophets and the immediate hopes of the exiles for the destruction of the Babylonians and their return to Israel. God’s word says otherwise. The prosperity, hope and future God promises differs from what the people of God in exile imagined and intuited on their own. The people of God have been “carried” into exile by God as a consequence for their rebellion in sin. He is now speaking to them regarding how to live as God’s people in Babylon. They are going to be there for seventy years – a generation. They are not to live in a cloistered community or to live in conformity with the pagans. Rather, they are to live as God’s people being witnesses among the fallen, lost people of Babylon. If we put ourselves in the context of God’s people living in a “fallen Babylon world,” (this is a phrase used by Dr. Robert Mulholland) we find a timely and apropos word from the Lord for us today. God’s word to the exiles contributes to us finding an answer to the question: “How shall we live as Christians in the world?” Like the exiles of Israel, we are outside the physical promised land of God due to our sin; however, we are not outside of God’s presence and kingdom. Another letter written to God’s people living in a “fallen Babylon world” is the book of Revelation. Revelation offers to the New Testament people of God the promise of a hope and a future of prosperity in God’s everlasting kingdom. I believe that Revelation shines a light on Jeremiah 29 to show us how to live in a world under the rule of the evil one and full of people for whom Jesus died. 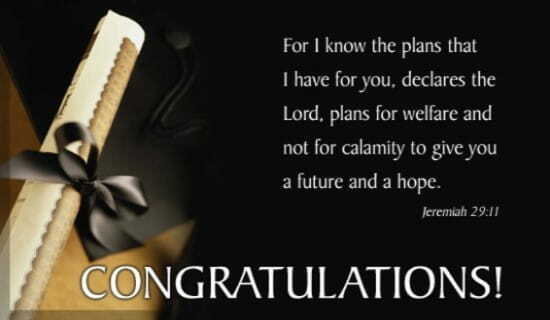 I am going to use Revelation chapter 8 in particular to frame applications from Jeremiah 29 for the church today. How do we apply Jeremiah 29:1-14 today? Pray – pray for the prosperity and flourishing of the city, its peace and welfare. God encourages the exiles to pray for the welfare of the people of Babylon. For them, as for us, this is the role of God’s people as a “kingdom of priests and a holy nation.” (Exodus 19:6) God promises that as we bless the community, city, nation and world where we live, we will find our welfare. Revelation 8:1-5 illustrates the prayers of the saints arising to the throne of God. The rabbi’s taught that this silence in heaven indicates a time of burden for the saints of God to pray and for heaven to listen. We are to be people of prayer who make intercessions to God. Our prayers and devotion ought to be earnest to maintain open communication with an open heaven. He hears our prayers and responds to them. Psalm 43:3-5 3 Send out your light and your truth; let them lead me; let them bring me to your holy hill and to your dwelling! 4 Then I will go to the altar of God, to God my exceeding joy, and I will praise you with the lyre, O God, my God. 5 Why are you cast down, O my soul, and why are you in turmoil within me? Hope in God; for I shall again praise him, my salvation and my God. Paul encourages this ministry of intercession for all people, because Jesus died for all people, even the worst of us. Who knows if God doesn’t allow people to really perturb us so that we might be moved to pray for them? 1 Timothy 2:1-6 First of all, then, I urge that supplications, prayers, intercessions, and thanksgivings be made for all people, 2 for kings and all who are in high positions, that we may lead a peaceful and quiet life, godly and dignified in every way. 3 This is good, and it is pleasing in the sight of God our Savior, 4 who desires all people to be saved and to come to the knowledge of the truth. Pray for Salvation of the lost who are now objects of God’s wrath and in danger of hell. Apart from God’s intervention, the people of world will die in their sins and remain apart from God. We are to help facilitate their “shalom” with God. 2 Corinthians 5:17-21 17 Therefore, if anyone is in Christ, he is a new creation. The old has passed away; behold, the new has come. 18 All this is from God, who through Christ reconciled us to himself and gave us the ministry of reconciliation; 19 that is, in Christ God was reconciling the world to himself, not counting their trespasses against them, and entrusting to us the message of reconciliation. 20 Therefore, we are ambassadors for Christ, God making his appeal through us. We implore you on behalf of Christ, be reconciled to God. 21 For our sake he made him to be sin who knew no sin, so that in him we might become the righteousness of God. Pray for his kingdom to come and his will to be done. His kingdom is the rule of Jesus Christ. We pray for the “ruler of this world to be cast out” and for all nations and people to come under the authority of Jesus. So much of God’s plan can be seen in the Lord ’s Prayer. God’s plan is for his kingdom to come to earth and his will to be done on earth as it is in heaven. His plan is much bigger than we imagine, and he is involved in the details of our life. God’s instructions for the exiles in Babylon involved their individual lives and decisions regarding houses, finances, marriage and children. It also involved the community as a whole living as a godly witness together following the commands of God. The same is true for us today. God’s plan, purpose, hope and future involves our particular callings and vocations, the decisions we make day-in and day-out. It also involves the people of the world, our churches and his mission in the world to bring all nations under the authority of Jesus. Matthew 6:33-34 But seek first the kingdom of God and his righteousness, and all these things will be added to you. Revelation 8:8, I believe, shows God’s judgment on the fallen Babylon world and much collateral damage and destruction that goes with it. As we seek God’s kingdom in this world, we are seeking the diminishing of the rule of the evil one and the freedom of those under his deception and oppression. When God’s kingdom comes, so do many of the good and wonderful elements of it for people yet in this world. His kingdom in experienced in the fruit and power of the Holy Spirit who is poured out on all flesh. The prophet Daniel demonstrates faithfulness to God’s rule even while serving Babylon. The story of Daniel is the story of the fulfillment of God’s promise in Jeremiah 29. Daniel obeys God and experiences God’s presence and manifestations in his life. Daniel and his three friends are examples for us in living in faithfulness to God for the welfare of our communities. Whether in Babylon in exile or in our cities we await the coming of the King. Be sanctified in truth by his Spirit and word. This is God’s plan and purpose for us…to be conformed to the image of Christ. The exiles in Babylon were being led astray by the lies of the false prophets telling them the same old lies that everything was going to be fine. As Jeremiah says elsewhere, “’Peace, peace,’ they say, when there is no peace.” (Jeremiah 6:14) The Lord reserves hard criticism and dire warnings for these false prophets. The warnings are no different or less severe for false teachers in the New Testament. John 17:14-19 I have given them your word, and the world has hated them because they are not of the world, just as I am not of the world. 15 I do not ask that you take them out of the world, but that you keep them from the evil one. 16 They are not of the world, just as I am not of the world. 17 Sanctify them in the truth; your word is truth. 18 As you sent me into the world, so I have sent them into the world. 19 And for their sake I consecrate myself, that they also may be sanctified in truth. 2 Peter 3:17-18 You therefore, beloved, knowing this beforehand, take care that you are not carried away with the error of lawless people and lose your own stability. 18 But grow in the grace and knowledge of our Lord and Savior Jesus Christ. The lawless living that Peter abhors is indicative of people who have become disconnected to God in the world. They are living in divorce from the Lord’s Spirit and eternal covenant of marriage to his people. Christians who live this way are in danger of being carried away with the unbelievers. Jesus’ warnings in Revelation to the churches of Pergamum, Thyatira and Laodicea address people in the church in danger of God’s wrath. God’s people will not live as God’s people spontaneously or naturally. The holy life requires earnest initiative and discipline that is practiced by God’s power and grace with our intention and striving. Be the light of the world letting Christ’s light shine through you. This is living in the fulfillment of our hope and future that is Jesus Christ. In our sins, we are promised “woe, woe, woe;” however, through Jesus Christ, we are promised eternal life. Revelation 8:13 reveals the plans of God for those outside of Christ. Revelation 21-22 reveal his plans for those in Christ. 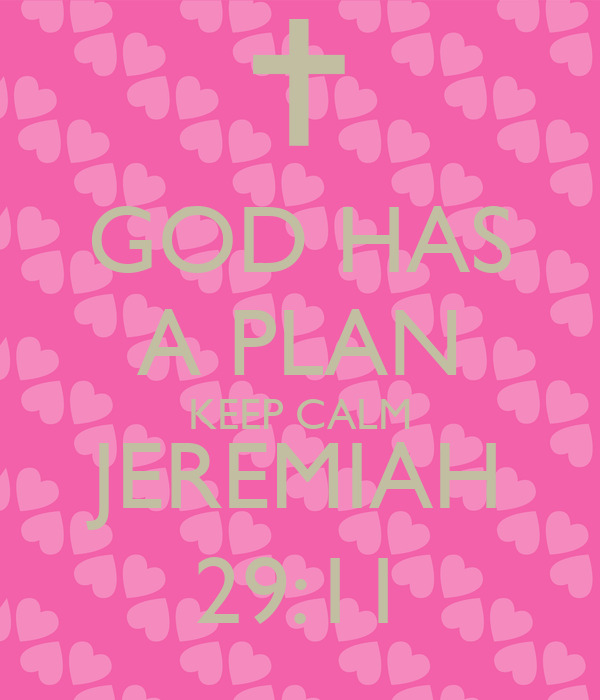 In Jeremiah 29:11, God says that he knows the plans he has for us. His plan is for our goodness and not harm. He plans to prosper us and give us a hope and a future. As this promise was made to his people in exile, it is made to us in a fallen world. The fulfillment of this promise for every person who accepts it is Jesus Christ. 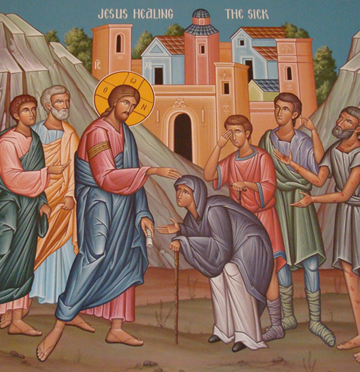 Jesus Christ fulfills the Law and the Prophets. The promise of God is not fulfilled by anything this world has to offer. The promise comes from heaven. The promise is experienced in his kingdom, even while in exile. God’s kingdom is present in the Spirit of Jesus Christ within us and among us. There is no fulfillment of Jeremiah 29:11 apart from new life in Christ. He alone brings us home from exile into God’s family and kingdom. For the exiles in Babylon, God promised them return to their homeland in seventy years. For believers today, we are given the Holy Spirit as an assurance of God’s kingdom within us and that is coming with Jesus’ return to us. We are called to “hold fast” and to keep the faith in the meantime as we live in this fallen world that calls for “patient endurance.” Our hope and future is with us always: Jesus Christ.